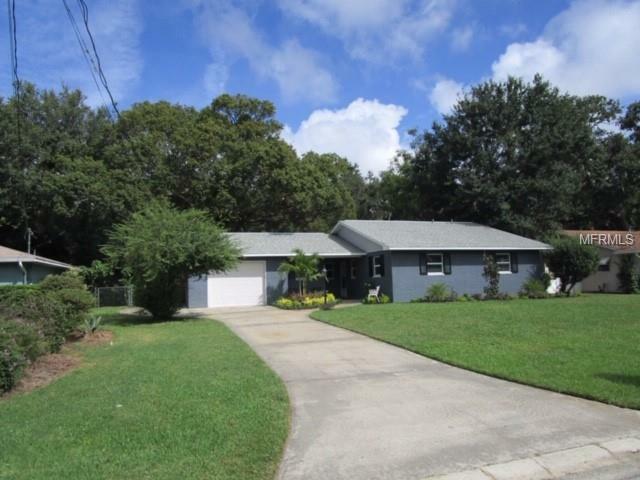 A couple blocks from Lake Dora, this newly renovated home sits on over a quarter acre. New kitchen with stainless steel appliances and quartz counter tops with bar counter. Spacious Living Room overlooking the fenced backyard and separate Flex Room off the kitchen which could be used as formal dining room or family room/den. Screened lanai and separate covered porch perfect for grilling out back and covered front porch and entryway perfect for relaxing. Inside laundry room and 1 car garage with new door opener with wi-fi capability. New roof, new insulated windows, new flooring, new bathrooms and all fixtures. Mount Dora address with County taxes! Owner is licensed Real Estate agent.